A week or so ago, I posted up my first experiment with narrating Powerpoint presentations, as i tried to run through a talk I did at our inaugural University of Westminster Lexical Conference. As promised back then, I’ve managed to make another similar kind of thing, this time using Camtasia and then uploading it directly onto YouTube, which this blogging platform then allows me to embed here! Anyway, this was the closing plenary to the one-day conference, and is really a condensation of many of the thoughts I’ve had over the last twelve to fifteen years about why the way I was taught to teach grammar isn’t particularly useful or efficient – and how we might start to redress this and do things better henceforth. It seems stupid to spend too long giving much of a preamble to a video where I get to talk for myself at, I’m sure some might say, considerable length, so I’ll cut to the chase and leave you to watch this yourselves. Hope you enjoy it – and I look forward to reading your thoughts and comments. Have you ever wondered how new terms come into use within ELT? I know I have. My sneaking suspicion has always been that they probably start out a bit like football chants: three mates in a pub after a game drunkenly hit upon a great rhyming couplet and vow to try their new invention out on the terraces the next home game; if the chant is any good, it gets taken up by others around them and eventually takes on a life of its own, maybe even passing into history as one of the club’s all-time greatest songs. 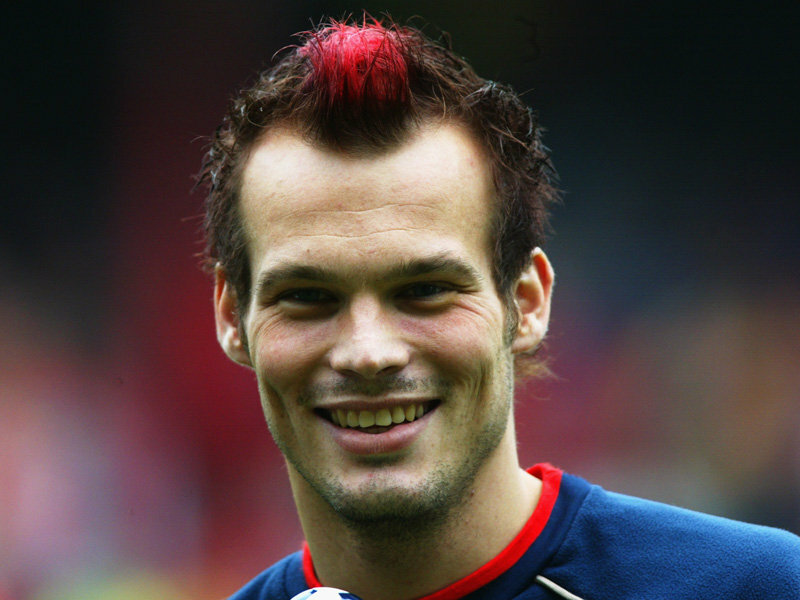 I’m sure, for instance, that I can’t be the only in the part of London who, on hearing even the faintest hint of Andy Williams doing You’re Just Too Good To Be True, starts having flashbacks and grins a simple idiot joy of remembering Freddie Ljungberg’s many, many Arsenal goals! Anyway, I digress. My point is simply that terms must surely come into being by first someone spotting a gap in the conceptual market and then floating a phrase to define it and seeing if it sticks. I’ve always thought it must be great to have come up, say, the phrase lexical priming or sound chunking (Michael Hoey and David Brazil respectively)! My first stab at introducing a new term into the field is far less grand, but does nevertheless represent something I’ve been thinking long and hard about whilst pondering the whole slippery nature of level of late. Ladies and gentlemen, I give to you ambient vocabulary. My Macmillan Advanced Learners’ dictionary advises me that ambient is a technical word meaning ‘existing or present around you – as in ambient sound, whilst ambient temperature is the temperature of surrounding air. Many of you may also be familiar with the concept of ambient music: evolving both from the kind of muzak you might hear whilst trundling your shopping trolley around your local supermarket and out of avant-garde experiments in early electronica, ambient music blossomed in the early-to-mid 1970s, with its dominant artists perhaps being former Roxy Music man Brian Eno, who released his seminal Ambient 1: Music for Airports set in 1978, thus giving life to the term. Eno himself stated that ambient music can be either “actively listened to with attention or as easily ignored, depending on the choice of the listener”, and based his term on the Latin term ambire, meaning to surround. Now, you’re probably wondering where on earth I’m going with all this, aren’t you? Well, fear not. The sense in which I’ve become interested in in the concept of ambient vocabulary runs parallel to Eno’s notions. I’m interested in vocabulary that can be actively brought to the attention of students – or just as easily ignored, depending on the choices made by the teacher . . . and I’d like to suggest that generally we’d all be better off bringing more ambient vocabulary to the fore rather than leaving it in the background, especially if we’re keen to up the level of the input we’re providing for our learners. Ambient vocabulary is language that’s there in the background of any given exercise or text, but which doesn’t necessarily need to be focused on in order for students – and teacher – to complete the task. Let’s look at a concrete example to illustrate what I mean here. Here’s an exercise I watched one of my trainees deal with last week. It’s taken from a writing spread that looks at making requests and enquiries and originally comes from INNOVATIONS Advanced. When we write e-mails to people we know relatively well, the language we use is very similar to everyday spoken English. Formal letters to people we know less well are much more likely to be more formal. Choose the words in italics which are more appropriate for the context. a Hi Jamir. You couldn’t just quickly send / forward me a note saying you’ve received that cheque, could you? b I am writing to request / ask for a complimentary copy of ‘Practising English Writing’, as advertised in your sales brochure. c I am writing to inform you of the fact / tell you that in a recent statement I was overcharged by thirty pounds / ripped off. d I am writing to request that you reimburse / give me back in full the amount sent with my recent order from your company. e Hi Mike. Just a quick one to ask if you could let me know / inform me how much you think the tickets will be. f I am writing to request further information regarding / more info about the current situation in Sierra Leone and to see / determine whether the Home Office is currently telling people not to / advising against travel to the country. g I would be most grateful if you could / Can you forward me details of your course fees and dates for the next academic year. h I am writing to enquire about the chances / possibility of acquiring / getting hold of a replica of my birth certificate. In essence, the bare minimum a teacher would need to check in order to ensure students that had successfully completed this exercise is the language in italics. On a basic level, a teacher could simply explain the task to students, let them get on with it, put them in pairs to compare ideas and then elicit answers by simply saying “OK. A? Right. It should be SEND. Is it more formal or informal? Right. Informal. Because it starts quite informally – Hi Jamir. And B? OK. Request. It’s more formal, right. Writing to someone you don’t know.” – and so on. Doing this is better than nothing, but not by much. In essence, this approach posits the teacher as little more than a glorified human answer key. A touch more sophisticated would be an approach would tackled not only the correct answers, but which checked and extended upon wrong answers. In this approach, the teacher may well run through the answers more like this: “OK, so A? Right. Send. How do you know? OK, but what tells you it’s informal? Right. The writer says Hi. The writer uses first names – Jamir – instead of something like Mr. Ali or whatever. Anything else? Yeah, the use of just to make the request seem small and actually the whole chunk – You couldn’t just – could you – is pretty informal too. Well spotted. And forward is a more formal way of saying send, so you might write something like I would be most grateful if you could forward me your price list (writes this on the board) or I would really appreciate it if you could forward me details of training programmes and so on. OK. B? Yeah. Request. How do you know it’s formal? Yes, there are no first names. And they’re clearly writing to someone they don’t now, asking for something for free, so formal is better. And you might say stuff like (writes on board) I am writing to request . . . further information about . . . / a quote for . . . / permission to . . . / copies of . . . and so on. Ask for is usually with friends or people you know, so you might email a friend / colleague and write something like I just wanted to ask for your thoughts on something or I just wanted to ask for a bit of advice. OK. C?” This approach gives the answers PLUS and involves some real teaching, but still doesn’t really tackle the ambient vocabulary lurking behind the scenes in the exercise above. So what exactly might this ambient vocabulary be and how might teachers alert students to its existence? Well, it’s basically anything there in the sentences that’s NOT central to the answers and that wouldn’t necessarily need to be covered when going through the answers, but which might still be new for students and which they might benefit from being exposed to. It’s language which will up the level of the input students get around the exercise and which will make even those who’ve raced through the exercise and who’ve got all the answers correct that they’re still going away from the class having been pushed and having learned something new. It’s language a sharp, lexically-minded teacher can focus on in addition to doing the great things involved in checking and processing the answers that I’ve outlined above. In the exercise above, I’d suggest it means the following items: a complimentary copy, sales brochure, statement, (reimburse me) in full, the current situation, course fees and replica. Now, I’m not suggesting that I’d cover all of these items every time I rounded up the answers to these sentences, or that I’d do much more with some of them than check students have noticed them, gloss them, maybe ask one extra question about them. With the more useful words that perhaps have broader applicability (or, if you’d prefer higher surrender value) such as brochure and fees, I’d probably also get some extra examples of usage up on the board as well. Here’s how I might bring the backgrounded ambient to the fore in just one sentence – B – above. “OK. B? Yeah. Request. How do you know it’s formal? Yes, there are no first names. And they’re clearly writing to someone they don’t now, asking for something for free, so formal is better. And you might say stuff like (writes on board) I am writing to request . . . further information about . . . / a quote for . . . / permission to . . . / copies of . . . and so on. Ask for is usually with friends or people you know, so you might email a friend / colleague and write something like I just wanted to ask for your thoughts on something or I just wanted to ask for a bit of advice. And did you notice here the writer requests a complimentary copy. What do you think it means here? Right. It’s like a free copy. In the same way, sometimes at big parties, like launch parties for products or whatever, all guests maybe receive complimentary samples or a complimentary drink, and sometimes frequent flyers get a complimentary upgrade to Business Class. OK, and did you notice here, the sales brochure. How many pages usually? Just one or more than one? Yeah, right. It’s usually like a small magazine, and it’s always for some kind of goods or services that a company provides, so you get (write on board) hotel brochures, travel brochures, holiday brochures, school or university brochures, and the expensively-produced ones are usually (write on board) glossy full-colour brochures. And if you just look quickly though one, you (write on board) flick through – or leaf through – it. More Teacher Talking Time for sure, but that’s what teaching is, folks! I’ve never yet had a student complain that their teachers were trying to explain things in too much depth or giving too many examples! As the old adage has it, you learn language FROM language – and if we really want our students to feel challenged, and we want to make the most of the language that surrounds them then perhaps it’s time we started ensuring we focus more keenly on bringing ambient vocabulary to the fore. Some thoughts on level, material and the difficulty of making things stick. Our eight-week summer school is now in full swing and I can almost guarantee that at some point in the next day or two, at least one student will come to me and ask to move because they feel they should be in a higher level. Often, these requests are in such painfully slow and stilted English that I’m astounded they’re even in the level they’ve been placed in, let alone that they have the cojones to believe they should be a level higher. The number of students we place at Intermediate or Upper-Intermediate who then come and inform us that they last course they did was Advanced or – my recent favourite – that they have ‘always’ been Upper-Intermediate is staggering – and it does beg the question as to how this state of affairs could’ve ever possibly come to pass. Obviously, insisting that students stay at the level we feel they actually belong in is a tough choice to make: there’s the ever-present risk that students will take offence at this and simply take their business elsewhere, and as we all know, students can always find a place that will put them into whatever level they demand, so long as they first pay and then moan long and hard enough. There’s also, of course, always the risk – and the fear – that students may still not actually end up getting enough of what they need from the classes to ensure that they really do learn new things and thus get some sense of making progress. For many students in many institutions, level is often a matter of time spent in classrooms, pure and simple. Students pay to do an eighty-hour course, say, and they then ‘complete’ it and thus move up to the next ‘level’. Following this trajectory, students who’d not stand a hope of passing FCE wind up being labelled Advanced. The flip-side of this is the (often fairly well-off and often fairly pushy) shall we say ‘strongly motivated’ student, who essentially blags their way into a higher level through persistent and relentless whining and moaning and threats. One of the perennial ironies involved in interactions with these students is that whilst they are always keen to point out the students in their current class who seem weaker to them than they believe themselves to be, when the fact that they may well become just like these students – at the lower end of the class spectrum if they were to be moved – is pointed out, they counter by saying that THEY would relish this and would rise to challenge, soaking up knowledge from those around so quickly they’d soon surpass them! Ultimately, we do no-one any favours by moving students up either simply because they demand it or because they’ve been around a fair old while. The students who get moved learn less than they would in a class pitched at their level; the quite possibly stronger – but shyer / nicer / less assertive – students in the group they get moved from lose out as their talents go unrewarded and unrecognised AND the students in the class above have the level of their class skewed downwards by a newcomer, and often a newcomer with a chippy attitude and a lack of desire to do the grunt work and put the hours in before getting the prize! In the same way, we also do not really solve the problem of level by taking a class who’ve been tested and placed at, say, Intermediate, and then re-designating them as Upper-Intermediate simply because they claim to be finding things too easy. Follow this logic and after another term a class that’d realistically be Upper-Int at best, and still a fair way off FCE, are suddenly being given Advanced books and struggling to cope! To my mind, Advanced means post-FCE and unless you’ve take the exam and passed – which means you’ve already acquired a good grasp of both the meanings and common usages of some 2500+ words – then you’re still essentially Upper-Intermediate. However, of course, both coursebooks and teaching play into this perennial problem. All too often, coursebooks simply don’t have enough new language in them – they’re lexically light. And where they do have vocabulary, it’s usually presented predominantly as single words, with the main focus being on meaning and little if any attention being paid to usage / collocation and so on. The vast majority of coursebooks simply do not seem to really treat lexis as the core stumbling block to proficiency or as the main way in which students – particularly those at Intermediate level and above, who’ve already studied structural grammar in pure mechanical form-manipulation ways for many years dating right back to high school – develop linguistically and are able to measure their own progress. Even where lexis is made difficult, it’s often by sheer dint of being obscure and unusual, rather than by being an expansion upon the dominant single-word paradigm. The core driver of syllabus, and thus the main way in which generation after generation of teacher is conditioned to think about level, remains grammar, and the higher up coursebooks go, the more likely they are to try to make grammar difficult, even when – or perhaps ESPECIALLY WHEN – it really needn’t be. Much teaching then exacerbates this by simply being procedural: speaking tasks are set up, students are listened to and are then asked to repeat to the group what they’ve said to each other already in pairs, whilst the teacher nods, smiles and does little else; exercises are set up and run through and answers are elicited without meanings really being nailed or usage really being explored; and level is all too often thought of in terms of grammar, simply because “they’re still making loads of mistakes” – and thus pages of Murphy’s ENGLISH GRAMMAR IN USE are photocopied and given as homework, thus reinforcing students’ sense of frustration at simply retreading old ground for little clear communicative end result. To consider this in more detail, let’s turn to the book we’re experimenting with on our summer school this year, the new Richmond course THE BIG PICTURE. I had to cover an Upper-Intermediate class this week and was given a couple of pages entitled A CAREER IN MEDICINE to teach. Whilst quickly sifting through the double-page spread I was about to go and teach and noting down language I wanted to pick up on and exploit, I had a sudden flashback through time to myself as a far younger teacher and suddenly realised how far I’d come and how much the earlier version of myself would’ve contributed to exactly the kind of issues surrounding level I’ve outlined above. 2 Are any of your classmates doctors, or training top be doctors? If yes, what’s his / her specialisation? In my earlier incarnation, I would simply have told the students to work in pairs or groups and discuss these questions, and then fretted slightly about the fact that students weren’t saying much about them, probably not realising that there is actually very little say about such questions, and instead taking this as a sign of their poor speaking. I may have managed to monitor, and maybe during this time I might perhaps have even explained some of the potentially new vocab such as aspect and specialisation, though perhaps not necessarily with reference to medicine. I may even have also corrected on the spot a few basic surface errors, usually of a simple grammatical type. There then would have been a whole class round-up where either individual students or the whole group would’ve been asked for ideas (which in this case, at least with the first question above, basically means ‘the correct answers’ actually) and I’d then have said “OK, yes,people look at the Internet for trusted advice, and some doctors have a specialisation. They work with children. They usually have training, yes, and this one shows some kind of traditional doctor or something. Good.” Ten or fifteen minutes could easily have passed already – without any real teaching taking place yet. Next up came a vocabulary exercise.Ah ha, you’re thinking. Even a novice must have have to teach something here. Well, yes and no, in truth, if my earlier self is anything to go by. Once students had looked at the transcript of the listening and found the relevant words and I’d performed the fairly banal task of saying “OK, yes, good, the word paediatrician is in there, and so is paramedic. Well done. Good,” I would then have moved on to the next task – Work in pairs. Explain the difference between the pairs of words in 1A. Use a dictionary to help you – and would’ve let students spend a few minutes looking up words in dictionaries (an action I used to believe somehow fostered learner autonomy or developed self-sufficiency of some similar nonsense!) before then getting students to compare ideas in pairs. Eventually, I would’ve elicited basic ideas from the class, and in a bid to be what I understood ‘student-centered’ to mean at this time, I may well have asked students to explain any words folk seemed unsure of. Usually what would then happen is the more confident and vocal students (in many instances, this often meant European or Latin American students) would give vague, rambling, semi-unintelligible responses, which I’d often feel uncertain about ‘correcting’ and so would end up validating by saying “Yes, OK. That’s right. So did we all get that?” to which the other students, who maybe hadn’t understood the rambling explanations, or who had been unable to hear them (and who had, by this point, already looked the words up anyway), would simply nod, either feeling that they were being kept back by the slow verbose students and wondering why they couldn’t be pushed forward and given more challenging input a bit more or else feeling intimidated by these students ‘fluency’ and thus more insecure about their own (often more accurate) output. At best, I might’ve managed to add a layer of basic semantic gloss and would’ve said, for instance, “Yes, OK, so a paediatrician is a kids’ doctor and a paramedic is maybe a doctor for emergencies. As you said, maybe with ambulances. And a patient? Yes, it’s the person in the hospital, the sick person, the ill one. And the surgeon? yes, the special doctor for operations.” On it would go, with little more being added to the students’ knowledge of the words and with no discernible improvement to their communicative abilities resulting. Another fifteen or minutes would’ve drifted by, never to be recaptured, with still no real attempt to force language to stick! Next comes a short bit of speaking, where students were asked to discuss whether or not they were a good patient – and why; which they’d prefer to be – a midwife or surgeon – and what the pros and cons of self-diagnosis and self-medication are. Usually with these sections, students would’ve ended up chatting quite happily for a good few minutes, comparing ideas and experiences, while I would listen in, smile, chat a bit and then stopp by asking each pair what they’d been saying to each other. This may well have gone on for several more minutes, with – predictably – the chattier, more confident (some might even say ‘cockier’) European / Latin American students doing most of the talking – and making plenty of mistakes in the process, none of which would’ve got picked up on as my focus at this juncture would’ve been very much just on the message, or the ‘whole person’ if you prefer!! Consequently, these students would’ve got yet another chance to gabble on – and to end up with an inflated sense of own their own capabilities as a result! 1 I’m still not ……………. to …………….. spicy food. 2 I’m ……………. to ……………… my shoes off in people’s houses, but I still forget sometimes. 3 When I first arrived I ………….. to …………….. friends so late at night, but now it seems normal. 2 something you’re getting used to, but it;’s still difficult. Perhaps I may have given students a few minutes to write, during which time I’d have gone round and maybe corrected a few surface errors. They would then have been out into pairs or groups to talk, and I suspect the talking wouldn’t have gone that far beyond students basically reading out what they’d written. I’d maybe have rounded up by getting students to repeat to the whole class what they’d written again, and the aforementioned schism between chatty and quieter students would’ve been made that little bit bigger again. By now, I could easily have been a good hour and a half into the class and you’d hard-pushed to say what exactly I had taught or what new language students would leave the class having understood and having been shown how to use. Being able to clearly state in what ways their level had been upped or their communicative competence had been developed would’ve been nigh-on impossible. Of course, some learning would’ve occurred indirectly in such classes: students may have looked up the odd new word, and may even have got examples of usage in their dictionaries; I may have managed to gloss and expand upon one or two of the explanations offered by students . . . but essentially material would’ve been moved through without anything much being made to stick. Having watched students successfully race through the material I’d been assigned for the day, I would then panic that they were finding it too easy and head straight for the Pandora’s Box entitled SUPPLEMENT. The main way I used to think about this was in terms of activities, things to do that might ‘get students talking’ and generate some discussion. If they could also be made to ensure some kind of revision of the grammar I believed students still hadn’t ‘got’ yet. Cue any amount of (frequently fairly demented) fun and games. Two particular sources of inspiration at this time were Friederike Klippel’s Keep Talking and Penny Ur’s Grammar Practice Activities. My poor students would be forced in teams to discuss the relative merits of Paris versus pizza, say, whilst I’d jump on errors with comparatives, or they’d do a balloon debate about what to take to a desert island or they’d walk around asking Haven’t I seen you before somewhere? in an attempt to both work out where the imaginary character they were playing might supposedly have met all other imaginary characters and also to use the present perfect simple six hundred and thirty-two times in twelve minutes. When I wasn’t going for the speaking supplement pills, I’d reach either for the heavy-handed grammar punishment photocopies from, yes, you guessed it. Hello Raymond. Or else I’d overload them with what I believed to be ‘high level’ vocabulary at the time: endless idioms and colloquialisms. The end result? My so-called Upper-Intermediate students who still answered Have you ever been to London before? by saying Yes, I have ever been in Cambridge two years before and who, when asked what their hometown was like would reply that yes, they did actually like, thank you very much for asking, these poor kids would be deluded into believing that if only they could get to grips with what a palaver actually was, when they might want to tell someone they were over the moon and how to use Cockney rhyming slang then they’d somehow be at a ‘higher level’. Sadly, I fear that this earlier version of myself, rather than being simply a sad and sorry reflection on my own early struggles as I stumbled blindly towards something resembling real teaching is actually in many many ways absolutely emblematic of much post-CELTA teaching both in the UK and elsewhere. It’s not generally an unpleasant experience to be in these classes: fun may be had, information about the world gleaned, laughter heard, friendships made even . . . but we’re deluding ourselves if we believe that a hundred hours of this takes students to a higher level. For THAT to occur, something far more rigorous has to be going on . . . and that’s what I’ll blog about in the next part of this mini-series later on in the week. Now, though, I have to go to talk to another student who’s come up during their break time to inform me they should be in Advanced. Posted in: Lessons in detail, Level, The state of our profession!